What do you like better- football or tomato season? Trick question, we love them both in Michigan. Every Friday we walk a few blocks up to the farmer's market where row upon row is littered with freshly picked heirlooms, romas and other local varieties, returning to the store with armfuls of our favorite vine-grown friends. One of the best ways to enjoy heirloom tomatoes is with a caprese salad- an appetizer that has become synonymous with late summer. 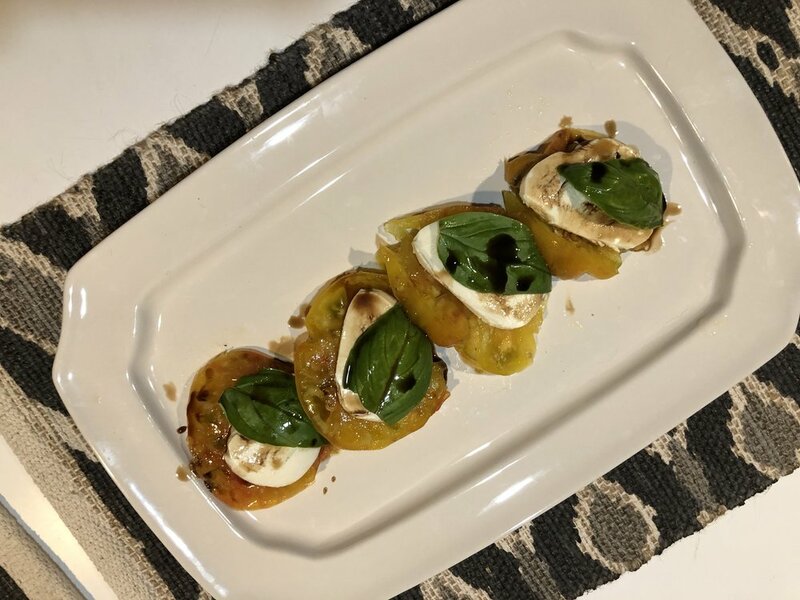 We added fresh basil, also from the farmer's market, Buffalo Mozzarella and FINI Balsamic Vinegar of Modena, both of which you can find at Symons. Modifications: substitute the mozzarella with avocado (vegan friendly), or use burrata cheese for an extra creamy option. 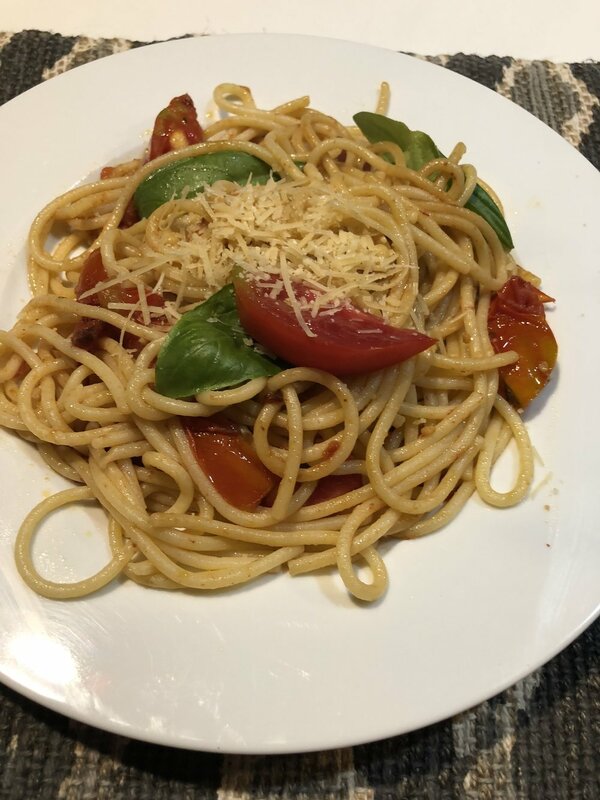 Moving on to the main attraction, spaghetti with fresh romas. 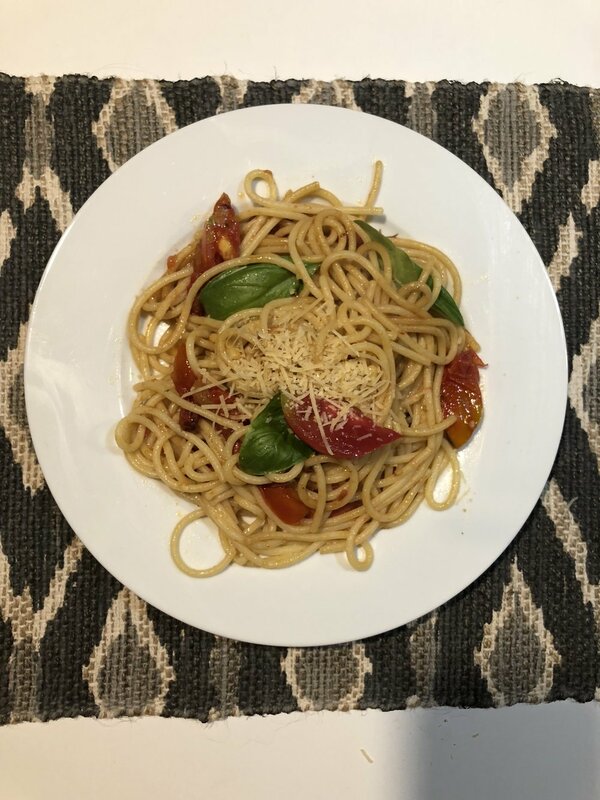 We want the tomatoes to be the star of the show, so we tossed our Marella pasta, imported from Puglia, Italy with just some Colavita EVOO and salt, incorporating the flash fried romas and topped with fresh basil and grated Mantova Parmigiano Reggiano. Pro Tip: We have packaged parmesan, but if you are cooking for one (hand raised), we can slice any amount of parmesan from our cheese case for you. The only missing ingredient is wine! Visit our cellar and choose from a selection of over 400 varieties- local, domestic and imported. Check back next week for more recipes and food-inspired fun!